Piu, water or wine carafe. An elegantly set table where bottles are not welcome. 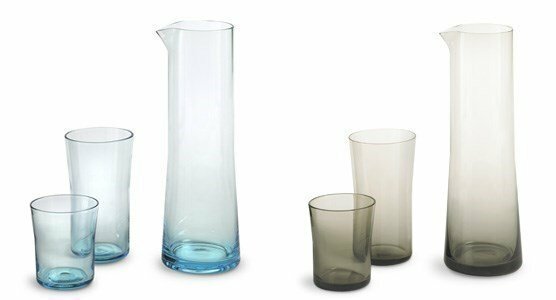 The Piu carafe is the perfect object for your elegant, simple table! With Piu's traditional outline, simple and geometrical shape, these glasses meet every table set. Made out of smokey, mouth-blown glass.